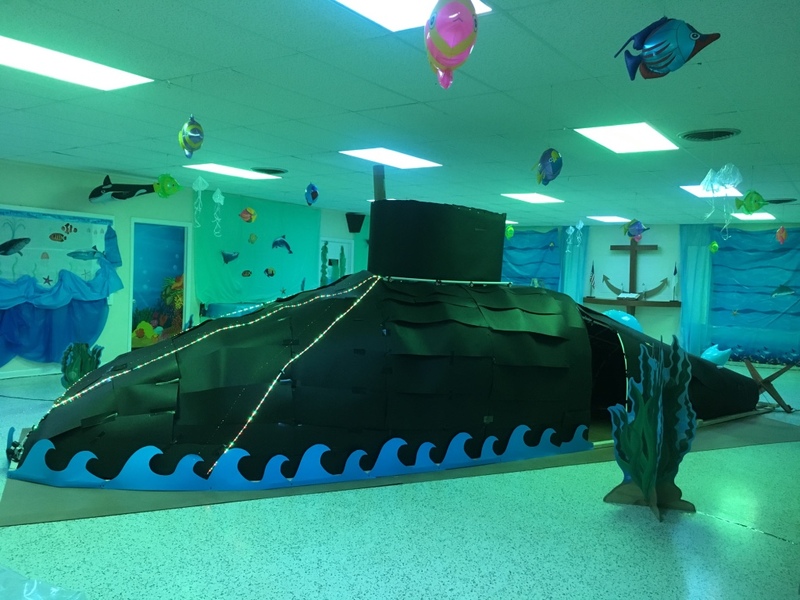 The theme for our Vacation Bible School this year was “Under the Sea – Diving into God’s Word!” See a video of the Submarine and the main VBS room. Children enjoyed an unforgettable adventure below the sea featuring a life-size submarine! 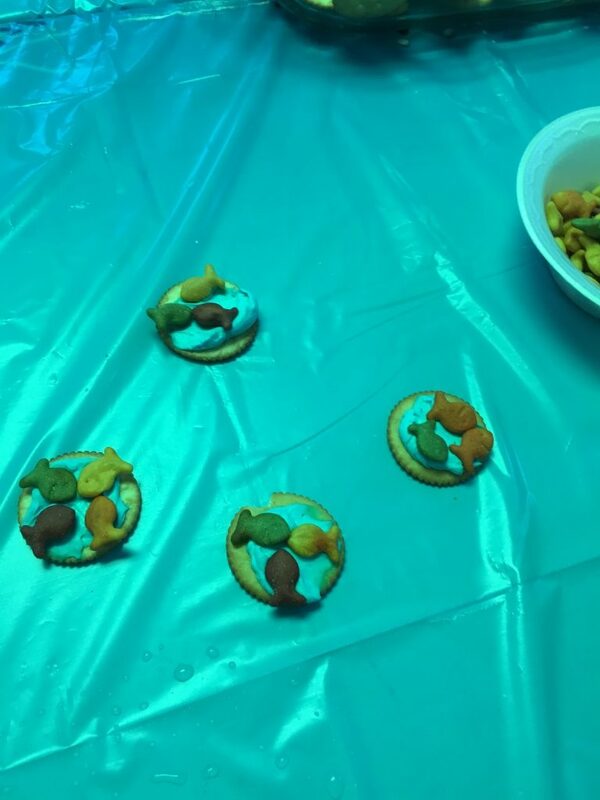 They enjoyed Bible time, arts & crafts, inside & outside activities,snacks (especially Sammie’s amazing Artlike Cookies), music and much more!. 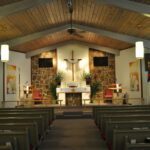 and be sure to read the blurp about last year below, and watch the slideshow! 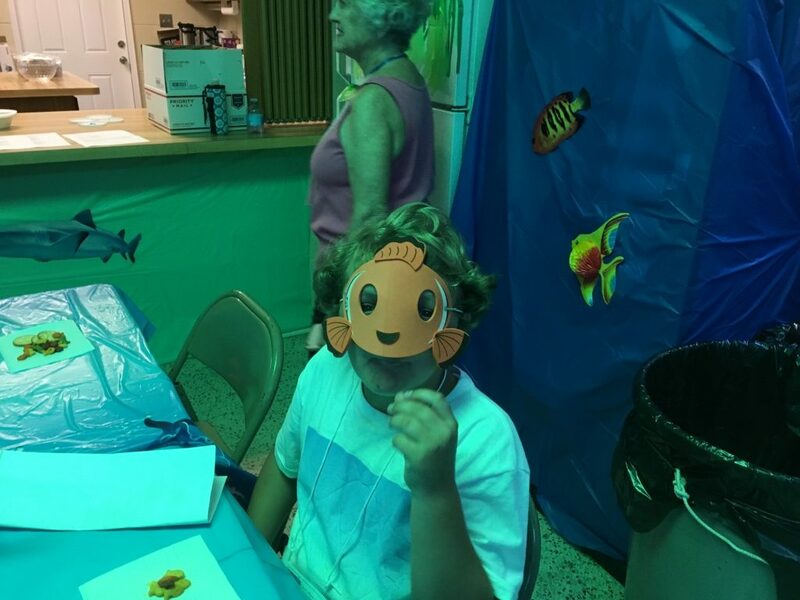 The 2017 Christ Lutheran Church’s VBS began with the transformation of the Fellowship Hall’s conversion into an underwater fantasy to help propel the students into the VBS’s theme of “Diving Deep Into the Word”. 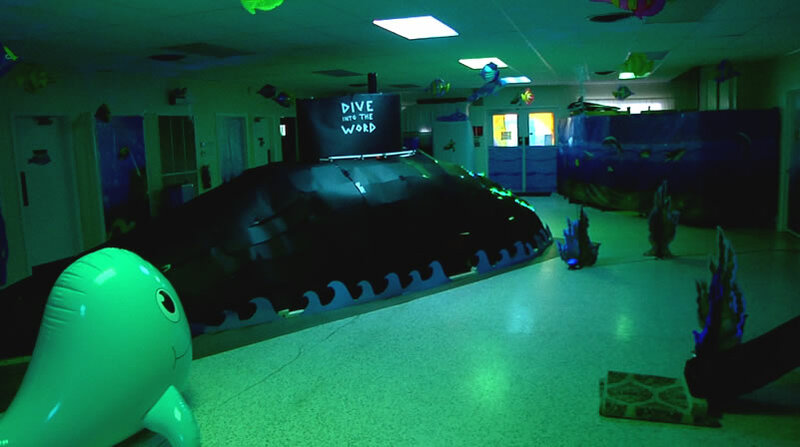 Volunteers used various decorating techniques to replicate a sea world from hanging inflatable fish, sea creature cutouts, underwater banners, colored paper, shower caps made to look like jellyfish and a large submarine with a functioning periscope. 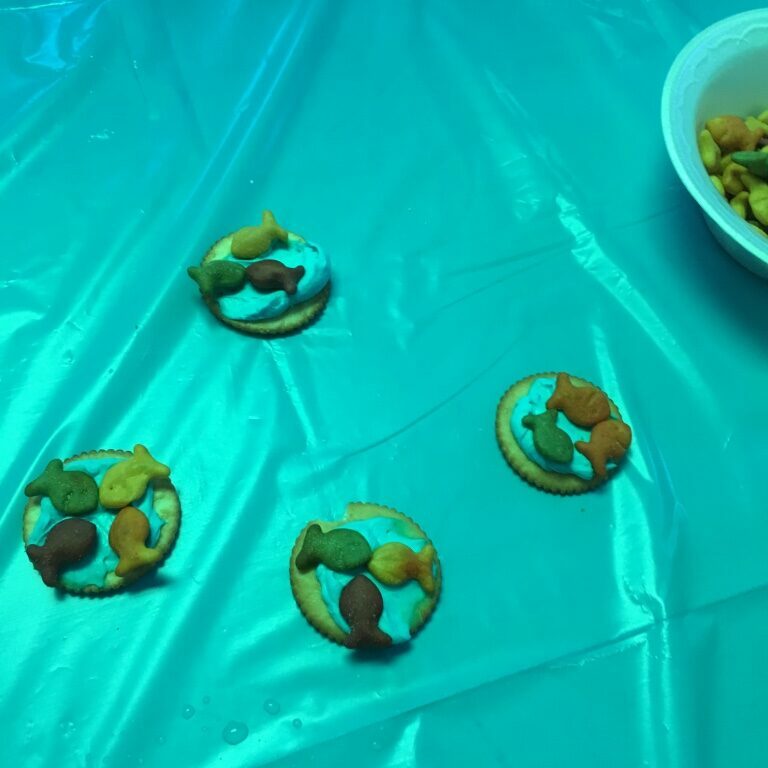 The first day of VBS introduced the children to the wonders of the sea as shared by Pastor Greg via a short video on the sea and verses from Genesis on creation of the sea. 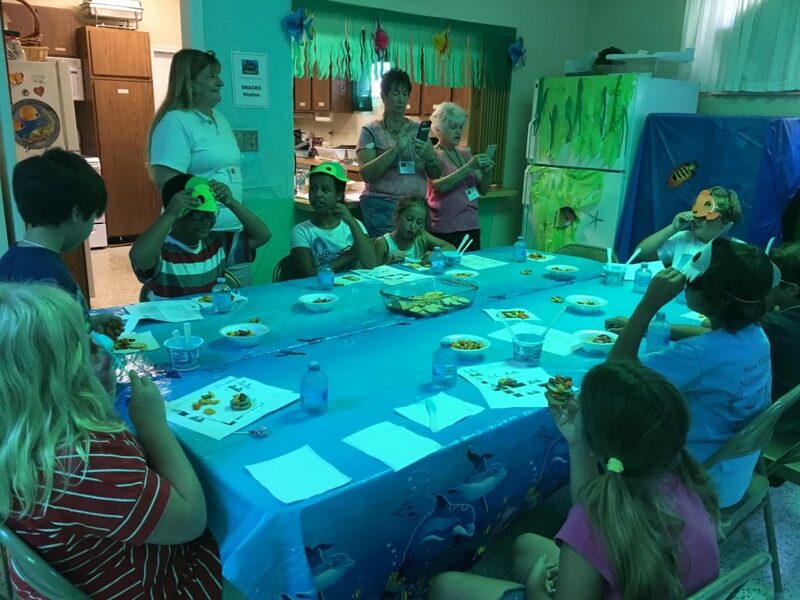 Children were grouped by ages and sent to different sessions for crafts, Bible lessons, outdoor activities and then snack time. 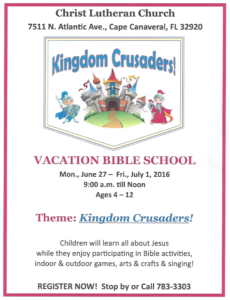 Everyday at VBS the children were introduced to more wonders of the Word. 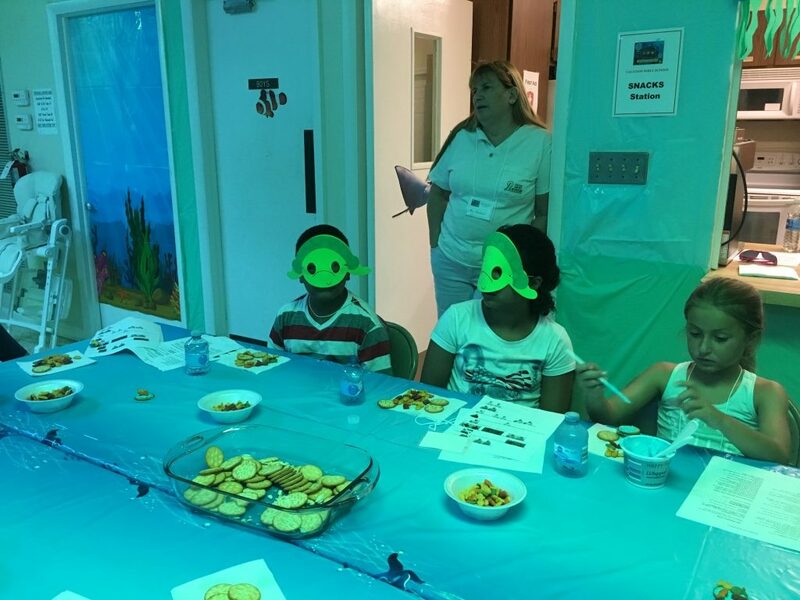 By the end of the week the children learned more about God and experienced the wonders of the sea through the transformed Fellowship Hall. 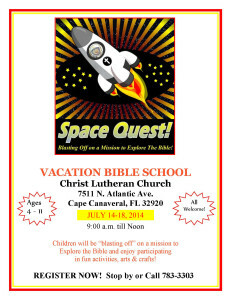 See the HIGHLIGHTS OF VBS 2012 – 2015 VIDEO, BELOW THIS FORM ! 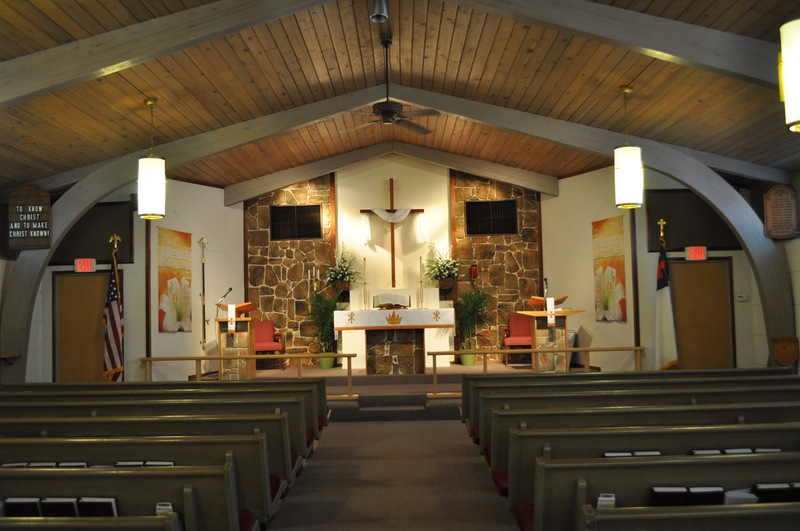 Children will learn all about Jesus while they enjoy participating in Bible activities, indoor & outdoor games, arts & crafts & singing ! MAKE SURE YOUR SOUND IS ON & Click Full Screen in YouTube controls at bottom right of video ! outdoor activities, arts & crafts!